After writing the package to edit WordPress articles in Emacs, I started thinking about doing something about non-text X selections in Emacs. Let’s have a look at what’s available here. See? When marking words in an xterm, you get at text/plain thing you can yank in Emacs (and that’s what normally happens), but you mark something in Firefox, you get a text/html (among other things) in addition). The same thing is the case in Chrome, although there you have to say “Copy” first to get the text/html part, and it lands on the CLIPBOARD and not in PRIMARY. But that should be OK, anyway. Let’s look at the output from the text/html selection from Firefox. Er, OK, that’s… little-endian utf-16. Er, OK… So that’s a thing? So that’s a UTF-8 string? With… a nul at the end? "Yank the contents of the current X text/html selection, if any." ;; But some sources add a nul to the end of the data. Yanking images into buffers works along the same line, but there’s differences between where the images originate, of course. If doing a “Copy image” from Firefox, I can yank them as any format (image/png, image/jpeg), but from Chrome doesn’t support transcoding, so you have to loop a bit to find what the format really is. Or… I could look at the output from `gui-get-selection’? Yes, that seems like a better idea. But just yanking an image into Emacs isn’t very useful: You have to be able to do something with it. In an HTML-like mode as this Postpress editing mode makes that kinda easy: Just represent it as an <img> element… and stash the entire image in the src=”data:image/jpeg;base64,FKJDSHJF…” bit. Since I’m showing the image as the `display’ bit on top, having a few megabytes of noise in the buffer doesn’t make any difference. I was worried that this might somehow slow Emacs down, but nope. Displaying very long lines is something that Emacs doesn’t like, but as long as it’s hidden, it doesn’t seem to make any difference. 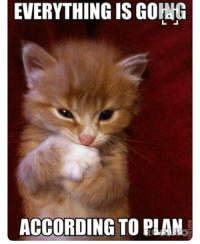 And it autosaves nicely, too. OK, making it that easy to insert images into blog posts perhaps isn’t a good idea, but why should all ideas be good? Anyway, I think something like this is something that Emacs should have, and I think I’ll pursue that further when I get time to do some more real Emacs work (which probably won’t be until like February). Finally! 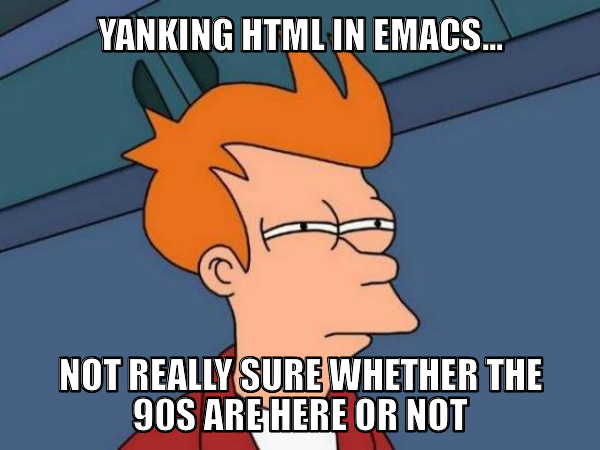 Emacs is going to catch up with 90s editors! At least on this minor point! Amazing!